Boiseko Ikastola, the Basque language immersion preschool in Boise, Idaho, is looking for instructors for the 2019-2020 school year. 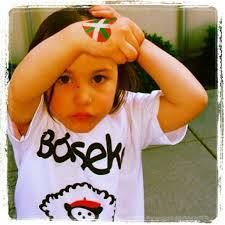 Boiseko Ikastola is a preschool program that prepares students ages 3-5 for Kindergarten using the Basque Country’s Nubaris curriculum. One of the many goals of Boiseko Ikastola is to prepare children for Kindergarten in a safe, creative environment while teaching them a new language, assisting with their developmental and study skills. Start days will be early August, 2019 and will continue to August 31, 2020. If you are interested, please read the below qualifications and submit the required documents (also listed below) via email to annieg@basquemuseum.eus by January 31, 2019 at 5pm MST. If you have any questions, please contact The Basque Museum at the email above.